Introducing MoreCravings, your one-stop destination to discover a world of culinary inspiration and rich rewards. Whether you are looking for cozy coffee shops, family style restaurants, relaxed lounges, or a fine dining experience, you’ll find it at MoreCravings. Begin your flavourful journey by navigating through our selection of more than 300 restaurants and lounges in the UAE. To kick start its launch, MoreCravings brings to you FestiveCravings. 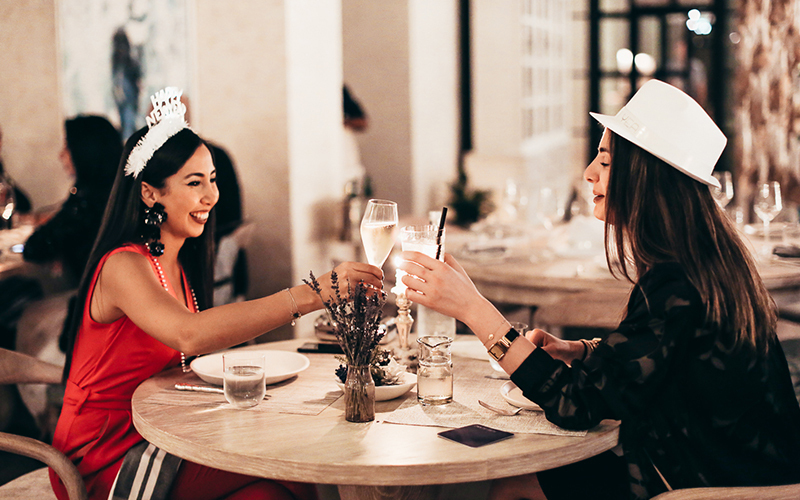 Until 15 January 2019, enjoy four amazing offers across 80 participating venues in the UAE, including 2 for 1 on mains & drinks, 30% group discounts, kids eat free and free drinks with dinner! Scots American Grill is a fusion of two great nations that produce the best in quality steak and seafood. The steakhouse celebrates the tradition of Scottish fine foods and combines them with new tastes from America, creating a unique menu and dining experience. With quality aged meats, perfectly smoked salmon and unique cross culture dishes, Scots American Grill is the perfect blend of fine tradition and new tastes. The venue combines trendy industrial interiors with an outdoor terrace, complete with panoramic views overlooking the lake and greenery of the nearby Green Community. The menu features British gastro-pub favourites including great roasts, fish and chips and an extensive selection of delectable desserts. Chival is a chic and stylish dining destination for those looking to fuel up on nutritional feasts full of goodness. Its light and feminine décor also boasts a grand outdoor seating area, with an extensive range of menus available throughout the day. An all-day dining restaurant offering a diverse buffet dining experience. Choose to relax indoors beneath the traditional waka canoes or outdoor overlooking the resort. Follow in the footsteps of the Lapita people and be immersed in the Southern Pacific ambience as you dine with family and friends. Details: To make a booking, please call +971 4 810 9421 or email lapita.restaurantreservations@autographhotels.com. Skye & Walker is an urban sustainable neighborhood eatery for globetrotters & savvy foodies in the heart of the “old” Dubai. We create guilt free nutritious dishes including vegan, raw & gluten free choices that are inspired by fresh, local ingredients, sourced through a few handpicked partners. Step into Bamboo Lagoon where a taste of Far Eastern and fusion cuisine meets the exotic: a scattering of huts, bridges, waterways, rushing waterfalls and live entertainment all add to this fun dining experience. Indulge in the sumptuous seafood buffet where Polynesian, Indonesian and Thai influences offer an excellent selection of healthy choices. Khayal is a unique interactive dining concept with tasting portions of appetisers, salads and desserts, prepared at 6 live action cooking stations. From hearty breakfasts and quick lunches to social dinners and post-work drinks, there’s much to look forward to Khayal, whatever the time of day. Refined French farmhouse flair by Chef David Myers in the heart of Dubai. It all begins from the moment you step through the rustic blue doors. The focal point of the restaurant and its menu is the wood-fired grill, representing the fire that often is reminiscent of the heart of a French farmhouse – a source of warmth that brings loved ones together. Previous Post&LeftArrow; Previous Dine at these UAE restaurants and you could win a trip to Lapland!